We understand what it means to build something from nothing. That journey defines each of our life stories. 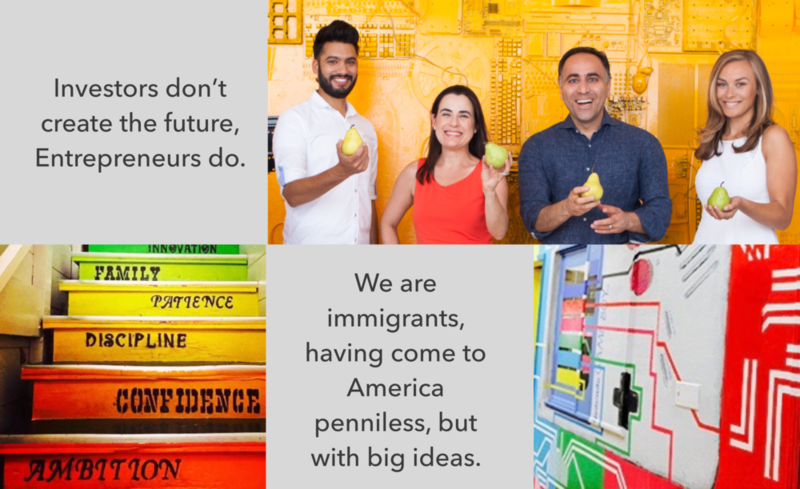 We are immigrants, having come to America penniless, but with big ideas. We've been entrepreneurs, determined to build great companies. We know now that success emerges only for those who have endured setbacks and overcome hurdles. We’ve learned from our failures, and we know what it takes to succeed. There are no shortcuts when it comes to building something extraordinary. All of this finds expression in our work. Our success has been rooted in our ability to find those entrepreneurs before others see their potential. We build the bridge between great ideas and the markets that need them. But that’s not all. Once they are already on their way, we lend support and expertise to help our founders make the next jump. Pear Ventures Operating Partners are committed to bringing their thought leadership and domain expertise to all of the founders in our portfolio, as well as the extended Pear community. We selected our Operational Partners based on their passions. They have all committed to making themselves available whenever a member of our community needs to lean on their expertise.